Rescued 12/18/18 from Wilmer Texas shelter one day before time was up. He has settled in very well with my pack. He is a total lover with humans. He would be an excellent companion animal. 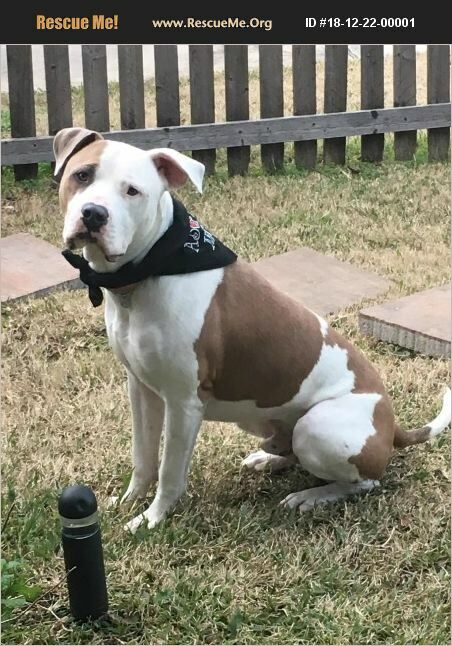 DNA test shows him to be American Bulldog and Old English Bulldogee. He is currently being evaluated by trainer with other dogs.